SUMMARY: Oral hygiene is commonly pushed to the side when it comes to self-care, but it's critical. Neglecting to take care of your oral health, physical hygiene and mental wellness can take a toll on your well-being. There's no excuse for this; feeling too busy or overwhelmed doesn't make it OK to stop showering, brushing your teeth and managing your stress levels. Self-care isn't selfish; it's critical. A third of those individuals have never flossed - ever. These shocking and unfortunate statistics prove that many don't understand the importance in oral care, but your overall well-being truly depends on it. Ignorance, apathy and fear of the dentist are common reasons for oral hygiene neglect. Beyond excuses like apathy and being too busy, the Centers for Disease Control and Prevention noted that being disabled, homebound or institutionalized increases one's risk of poor oral health. Additionally, Americans who have lost their dental insurance upon retirement are less likely to receive the routine dental care that ensures oral wellness. Ignorance may also be to blame. Even those who brush regularly may not take care of their teeth as best as they could. 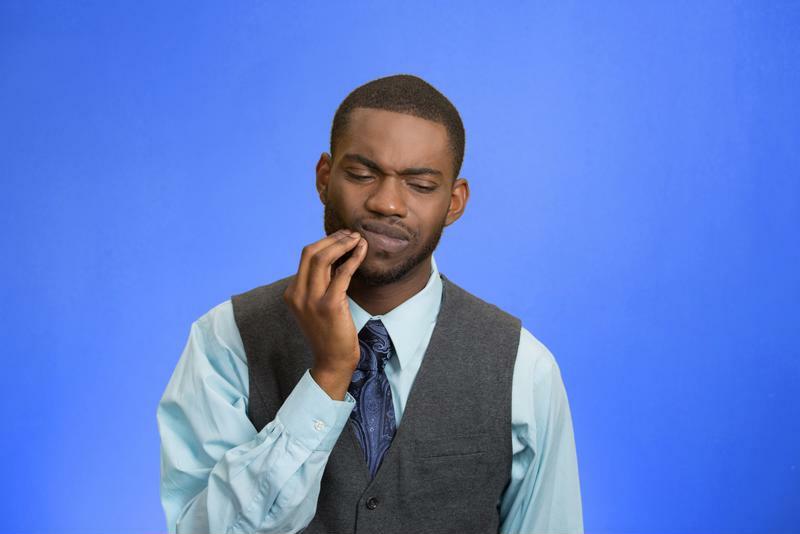 These individuals need to make flossing a part of their regular oral hygiene routines, according to Bryan Trump, D.D.S., professor at the University of Utah School of Dentistry. "[People think], if I've brushed and I can't see it, then I've done my job and it's clean," he shared with Health Feed, a news source of the University of Utah. Dr. Trump cautions however, "we're leaving behind the plaque and that biofilm where bugs can set up house." Find a dentist you feel comfortable with. If dental anxiety is your reason for neglecting to take care of your teeth, find a dentist you feel comfortable with before you settle. Invest in a good toothbrush. Spend money on an electric toothbrush that takes the stress out of brushing too vigorously. Ask your dentist for a recommendation before shopping blindly. Try a water flosser. If you don't floss because you find it too difficult or painful, consider trying a water flosser instead. This option can remove plaque, improve gum health and reduce your risk for gingivitis just as well as traditional flossing. By showing your teeth more attention and following dentist recommendations, you can improve your oral wellness and overall self-care. Make it a top concern to brush twice a day, floss in the morning or evening and visit the dentist every six months. You'll feel better about your health in no time! If you want tips on Oral Care make sure to check out our Tips and Advice page!